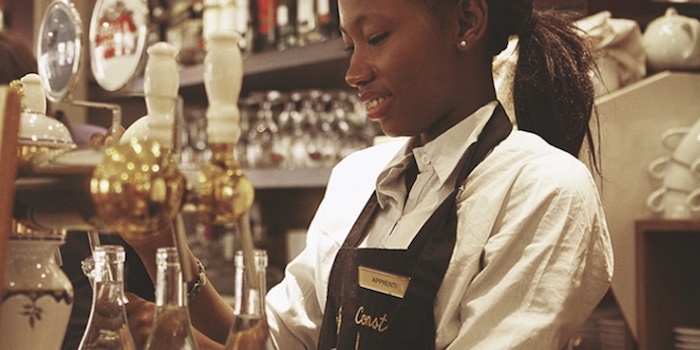 Just what is the difference between a restaurant, a bistro, a brasserie & a café? While there might seem to be a world of difference between the grand restaurants and neighborhood Paris bistros and cafés they all have something fundamental in common — the joy of food and cooking. 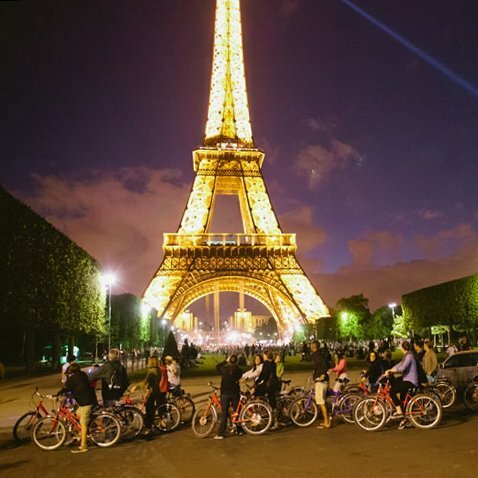 That's what we love about the wide spectrum of dining experiences we've had in Paris. From the refined multiple mini-courses of a Michelin 3-star restaurant like Pierre Gagnaire to the home-cooking feel of small, hidden cafés and bistros. Besides, who can afford to always eat at the spectacular, and spectacularly priced, Michelin 3-star luxury restaurants? So, let's look at some of the affordable restaurants that we've eaten at time and time again. But first, let's talk about what constitutes a bistro, a brasserie and a café. Contrasting the large, luxurious spaces of the grands restaurants, bistros are small, casual places where hearty food is served simply, but deliciously prepared. Typically, in the past at least, a bistro is frequented by the locals and might not be very well known outside its quartier, or neighborhood. Historically, the fare (and wine) at many bistros was based on the food of the region of the bistro's owner. For instance, some of our regular haunts are bistros based on the cooking of southwest France. The wines we drink there are usually completely new to us, but delicious just the same. 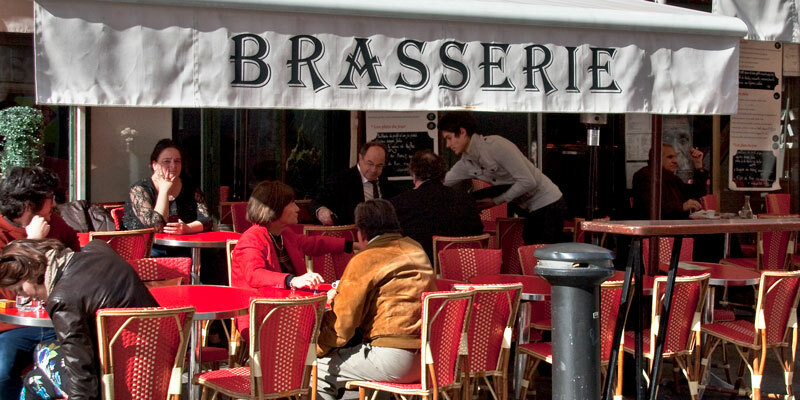 Brasserie means brewery and, as you might guess, most of the brasseries of Paris were initially based around beer. Since beer is the traditional drink in the part of France closest to Germany, you can still find a distinctly Alsatian flavor in brasseries, with dishes featuring sauerkraut and sausages, although nowadays they offer some of the classic French dishes, from blanquette de veau and pot-au-feu to confit de canard. 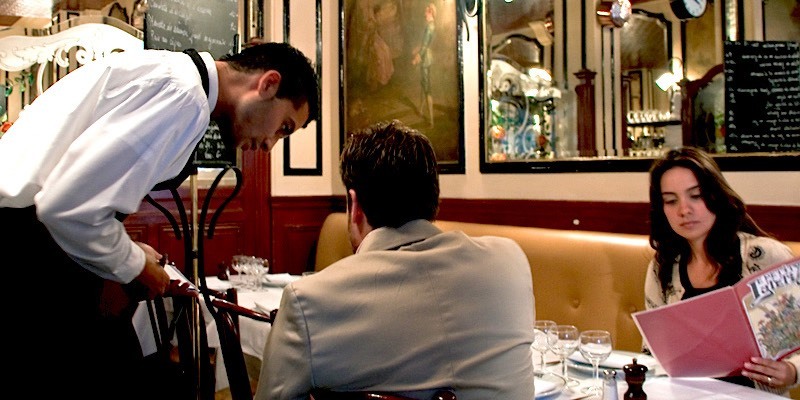 In brasseries you can expect a bit more formality than in Paris bistros, typically with white linen and uniformed servers. 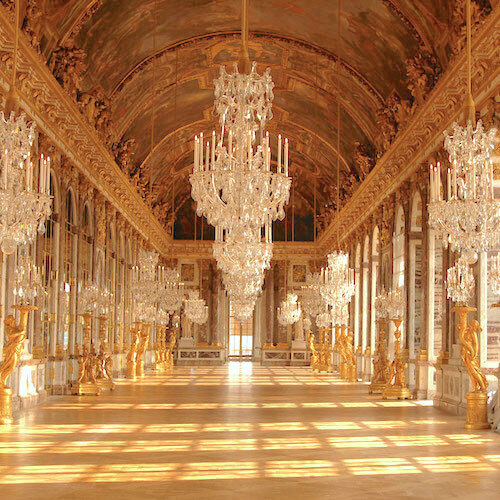 The famous brasseries of Paris are decorated with brass, stained glass, all done in a sort of Art Deco style. These are the most casual of all. It's where you have a glass of rosé on one of those round tables and do a little Paris people watching on the avenue, rue or boulevard. We usually think of wine bars in the same category. Get ready to be cozy! 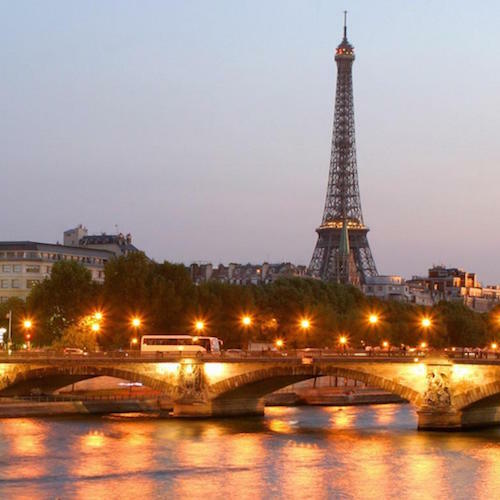 You can't hide in restaurants in Paris — you are part of the scene. Neighboring diners will squeeze past you to get to and from their tables. Waiters will pass dishes over your head. All in all, it's a great scene! 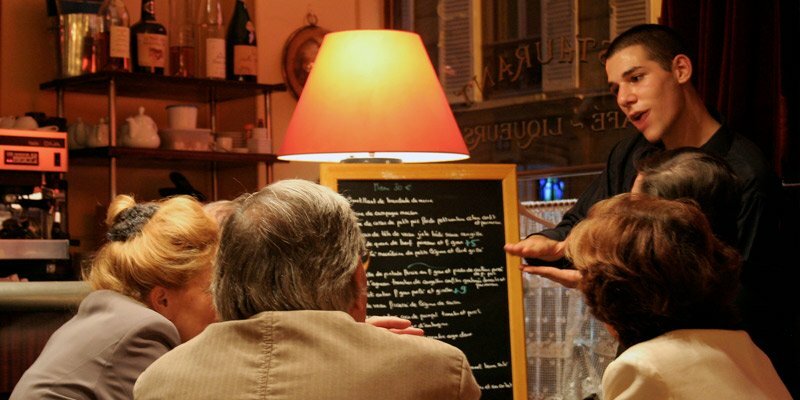 We often find ourselves in this small restaurant located near Le Bon Marché department store on the border of the 6th and 7th Arrondissements, close to Montparnasse. 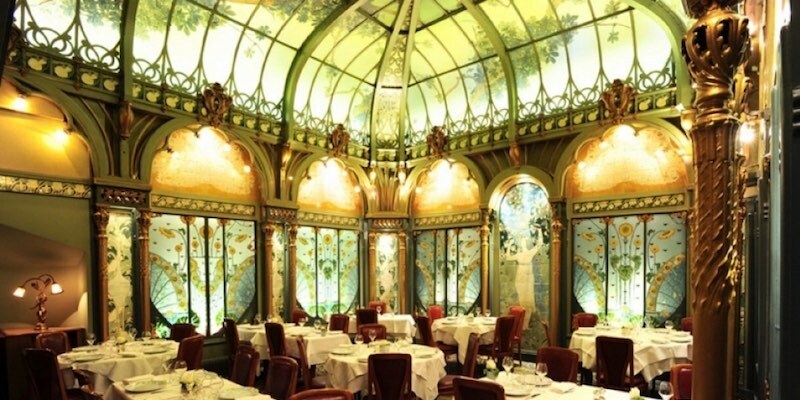 This 1915 Paris bistro classic has the stained glass, a zinc bar, and mirrors that you expect. The food is traditional Parisian bistro fare — hearty, simple and authentic. No fancy food displays or revolutionary combinations. Don't miss the cassolette d'escargots: it arrives smoking hot with a lovely garlic and basil sauce. Insider Tip — order from the daily specials on the menu board. 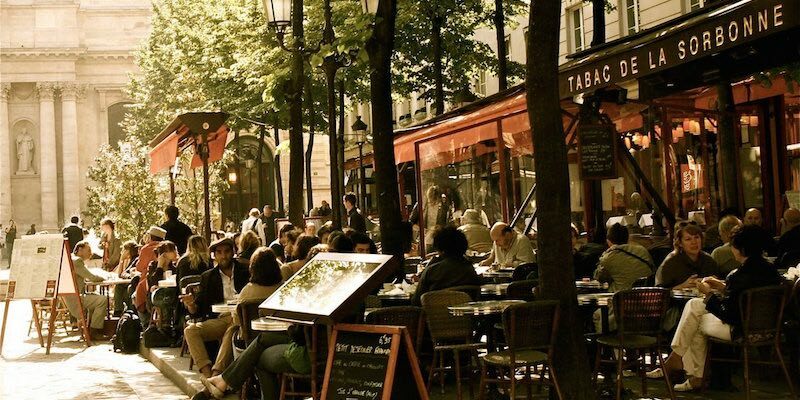 This classic Left Bank café was a regular lunch spot for us whenever we were on our way to the nearby American Library in Paris or to the Champs de Mars at the Eiffel Tower, at it still remains a favourite today. The good food and extremely reasonable prices ensure that it is absolutely packed at lunchtime. And we mean packed ! 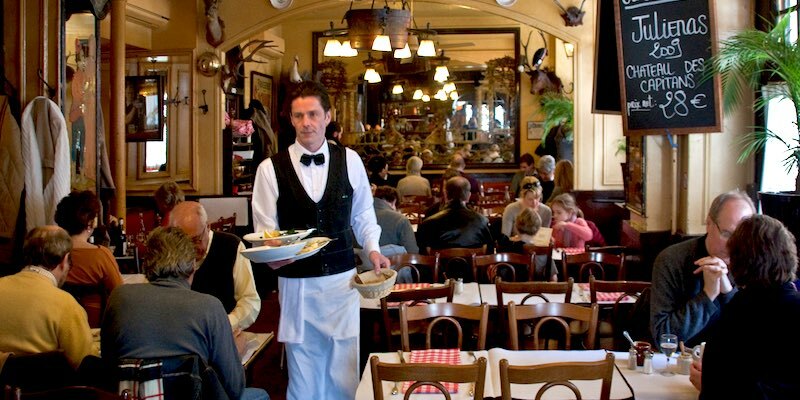 During the lunch rush, waiters can't squeeze between the chairs, so customers are recruited to pass plates full of steak frites from table to table. 7:00am to Midnight. Sunday 7:00am to 5:00pm. We felt like real Paris Insiders the first time we turned into the constricted street and walk toward the patch of soft light coming from one of the most popular restaurants in Paris. The sign on the building was like the those you see on abandoned boulangeries in rural France: dark, faded, hard to spot in the dimness. Gregory Marchand, a young chef from Nantes with the celebrity of a rock star, trained in New York City and with Jamie Oliver in London, where he acquired the nickname Frenchie, which he, improbably, also named his restaurant. All the dishes are good. Really good. The first night we ate there, the smoked trout entrée was one of those last-meal-in-our-lives choices. The blend of the smokiness of the fish with the roasted peppers and oils was a wonder. Marchand knows about cooking, and his meals are like fine art. In the half door of the kitchen we watched Chef Marchand tending to every single dish, bent down to get eye level with the food to make sure all is perfect. Our first meal there was a few years ago. Since then Chef Marchand has pretty much taken over this formerly neglected street by opening a wine bar, Frenchie to Go, and other food ventures. Rue du Nil has now become a true gourmet destination. A casual spot for lunch or dinner, this café is just one of Chef Christian Constant's restaurants in his veritable food empire along Rue Saint Dominque, near the Eiffel Tower. 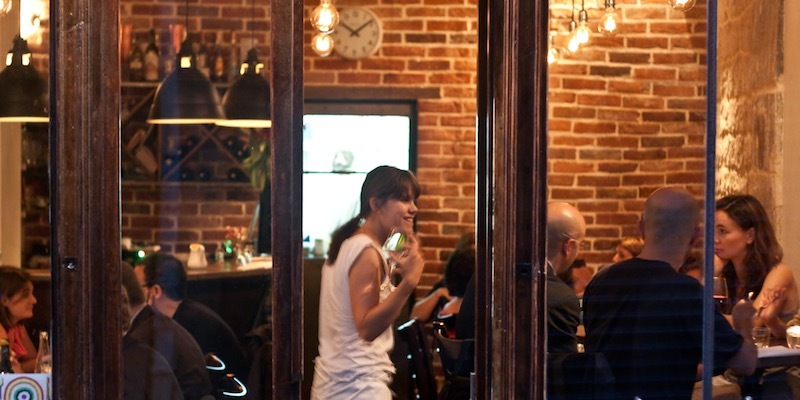 It's a great place for a group of friends (old and new) to meet for a lively time with Constant's always reliable food. It also seems to b one of Chef Constant's favorite hang-outs. Often we were in the neighborhood we'd see him sitting at the bar or outside at a table, enjoying a meal. We love sitting beneath the stained glass dome inside this restaurant in Paris, moved from a 19-century conservatory. Fermette Marbeuf 1900 is a civilized place to have lunch after a morning of shopping or browsing at the Louis Vuitton flagship store just down the street. Insiders Tip — Make sure to reserve your space "sous le dôme", under the dome. One of our favorites for lunch, located just behind Notre Dame Cathedral and across the pedestrian bridge. There's always been a restaurant on this site — that is, at least since the 19th century. 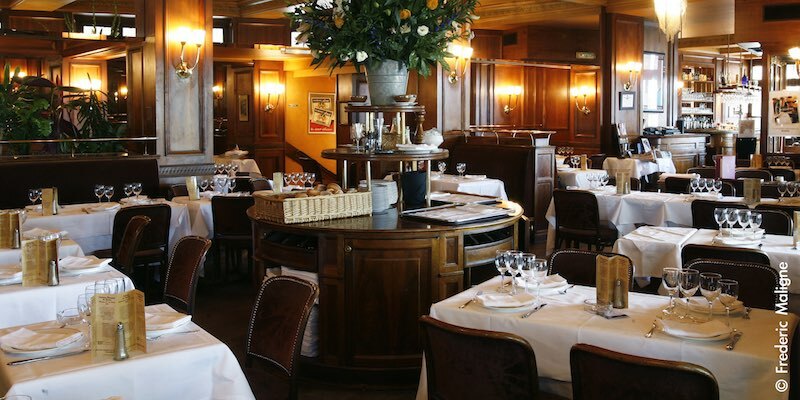 The restaurant was purchased by the Guépratte family in 1953 and renamed Brasserie Île Saint-Louis. It's now run by the third generation of the family, grandchildren of the original owners. This is the place to seek out traditional brasserie classics like herring and boiled potatoes slathered in butter and olive oil, perfect omelettes with house-made frites (which may be the best frites in Paris! ), or a huge plate of charcuterie. And when you have a craving for the Alsatian dish of sausages and tangy sauerkraut — this is the place. It's the best way to fortify yourself before you head to Notre Dame, just across the pedestrian bridge, to climb the 387 stairs to the top of the towers!